Exciting news today as we announce the next publication from here at Wizards Keep Publishing – The Worlds End Ashcan 2 has just arrived and is ready for shipping. 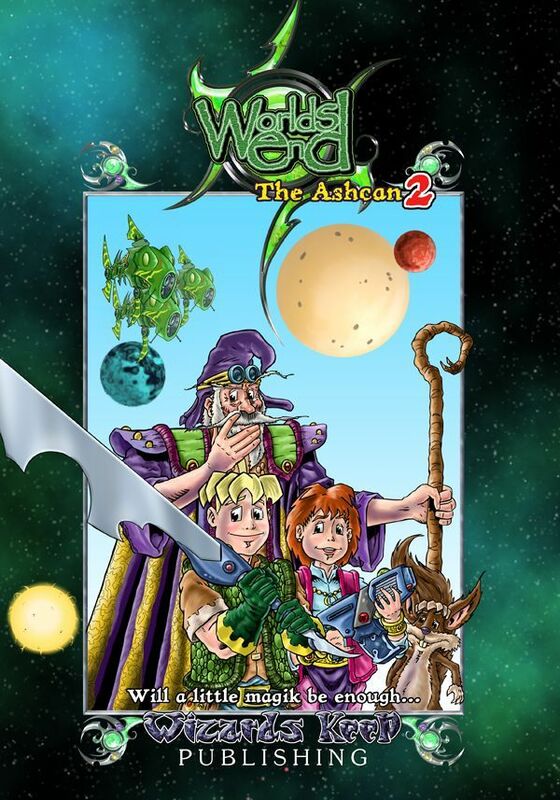 Released just in time for the coming autumn/winter convention season, starting this weekend at the Lakes International Comic Art Festival in Kendal, the 20 page comic is the prologue to the second in the "Science Fusion" graphic novel series, Worlds End – Volume 2 – A Hard Reign's Gonna Fall. With more sequential story content than the first ashcan this is a must for all fans of the Worlds End Saga. Containing an eight-page sequence from the beginning of the second book and a three page back up strip this is sure to become another collectors item. Priced the same as the original Ashcan at £1.50 – this comic book will not break the bank. Copies of the Ashcan can be signed by the series creator, Tim Perkins, at no extra cost. Buy a copy of the first in the series of "Science Fusion" graphic novels and get a FREE copy of this second Ashcan with our compliments, while stocks last.